Medieval buildings tower over its people in the little town, especially in old town. 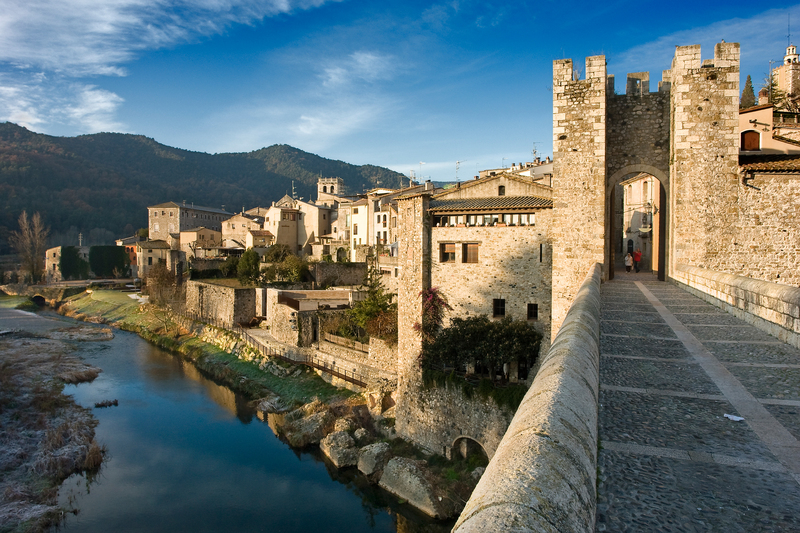 The most popular attraction in Besalú is the Besalú Bridge. The bridge is located at the front of the town over the Fluviá River. The year the bridge was constructed is unknown, but it was constructed around the year of 1075 when it was first mentioned. At night the bridge lights up the bridge, which is a spectacular sight. The bridge connects to the Jewish Quarter. The Jewish Quarter in Besalú was closed by authorities in 1415. Twenty years later there wasn’t a single Jewish person in the village. Because of this the town was left mostly intact. Now visitors can walk along and admire the medieval buildings. There are plenty of restaurants throughout the town, some even overlook the historic town squares and Fluviá River. There are also little shops throughout the town, some shops even have a medieval flair to them. 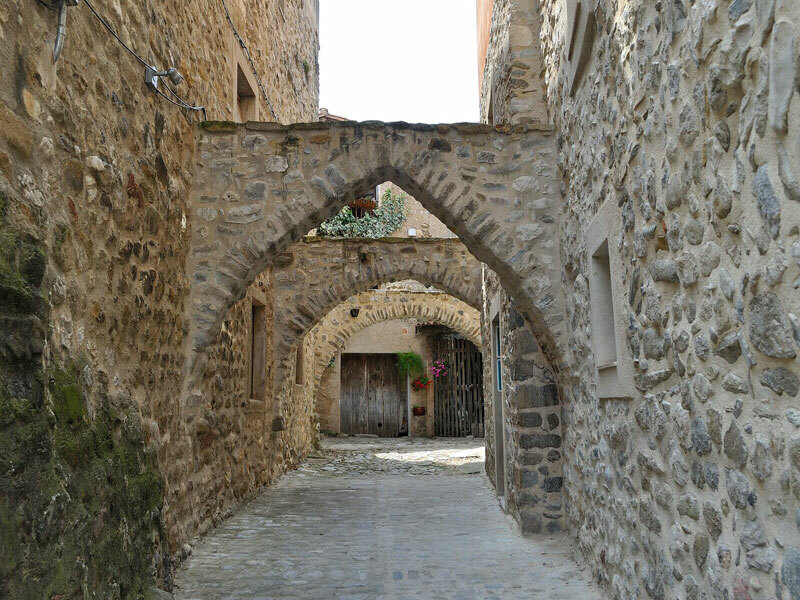 The historic town is perfect for a family day trip from the Mediterranean coast and will be loved by all the family members from historic walks, to playing at the river banks. Have a lovely stay in our familial hotel in Vilanova!